What Makes a Digital Signature Legal? Get This Free White Paper to Find Out! Digital signatures are a quick and easy way to get documents signed online, but not all e-signatures meet federal regulations. Want to claim your free digital copy of this white paper? 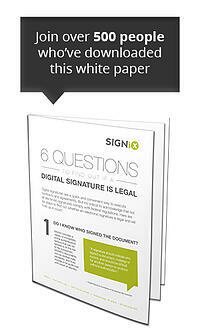 Fill out the form to learn more about the legality of digital signatures.